The Board of Regents, representative of the rich diversity of the ACFE membership, contemplate the profession as the ACFE celebrates its 25th anniversary. 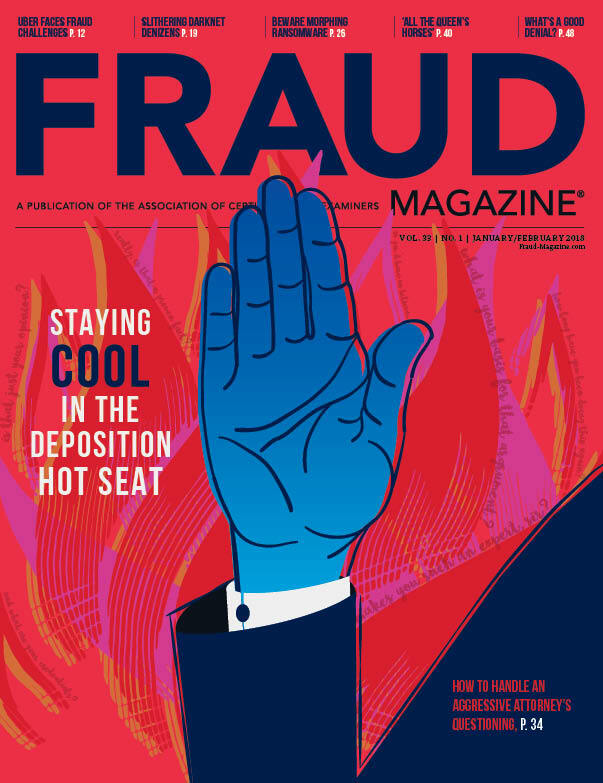 As we begin celebrating the 25th year of the ACFE, Fraud Magazine invited the board members to a relaxed, lively roundtable discussion at the 24th Annual ACFE Global Fraud Conference to consider the future of the fraud examination profession and the association that largely created it. Representing three continents and several industries, the board discussed ways to train and encourage budding fraud examiners, the care and feeding of whistleblowers (or sentinels as the ACFE calls them), fraud deterrence and return on investment, C-suite responsibilities, fraudsters’ new methods and developing a passion for fighting fraud, among other topics. Participants included: Richard G. Brody, Ph.D., CFE, CPA (vice chair), Douglas Minge Brown Professor of Accounting, University of New Mexico Anderson School of Management; Michelle Brown, CFE (treasurer); principal, Verizon Business; Roger Darvall-Stevens, MBA, MA, CFE (secretary), partner, Ernst & Young, Fraud Investigation & Dispute Services, Melbourne, Australia; ACFE Vice President and Program Director Bruce Dorris, J.D., CFE, CPA (advisory member); Bruce G. Dubinsky, CFE, CPA (assistant treasurer), managing director, commercial disputes, Duff and Phelps, LLC, Washington, DC; James J. Oakes, CFE (chair), global director, financial crime, for the Wynyard Group, London, U.K.; ACFE President and CEO James D. Ratley, CFE (advisory member); and Vice President and General Counsel John Warren, J.D., CFE (advisory member). “We had an attendee at one of our first early events who told me that ‘Until you started the association my kids would ask what I did for a living, and I didn’t know what to tell them. Now I know to tell them I’m a fraud examiner,’ ” Ratley says. Darvall-Stevens agrees with Dubinsky. 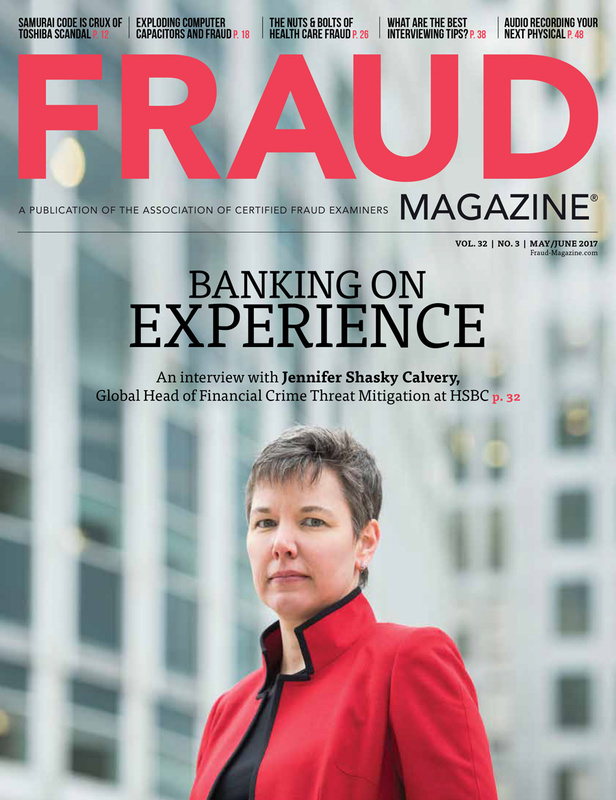 “A client will recognize that if you submit a proposal for anti-fraud work and you’ve got CFEs as part of that team, that’s a competitive advantage,” he says. “I see more and more requirements for CFE qualifications in job postings at least outside the U.S.,” says Oakes. “Corporations around the world now recognize the CFE credential as an essential component for applicants, he says. 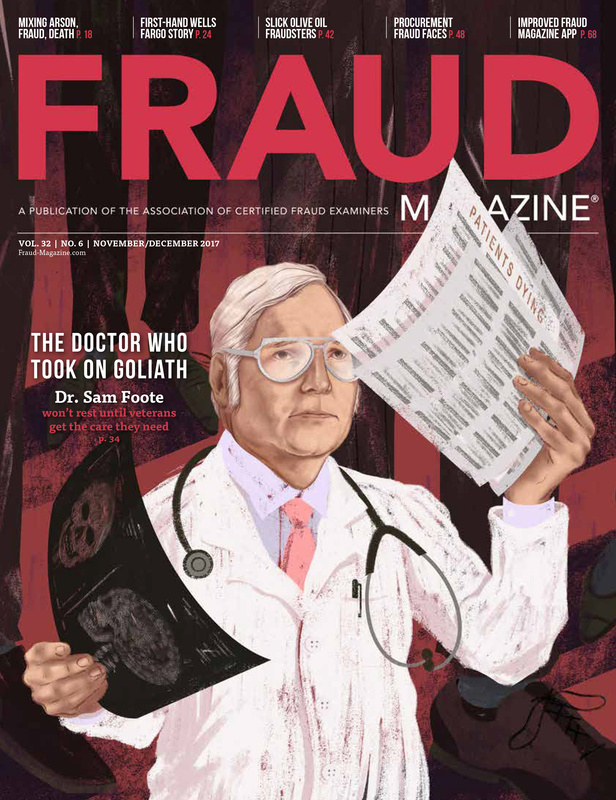 “When I started in the fraud world, I don’t know how many [higher-education] schools offered fraud examination classes but it was probably 10 and now it’s hundreds because of the ACFE’s commitment to education at the university level,” Brody says. 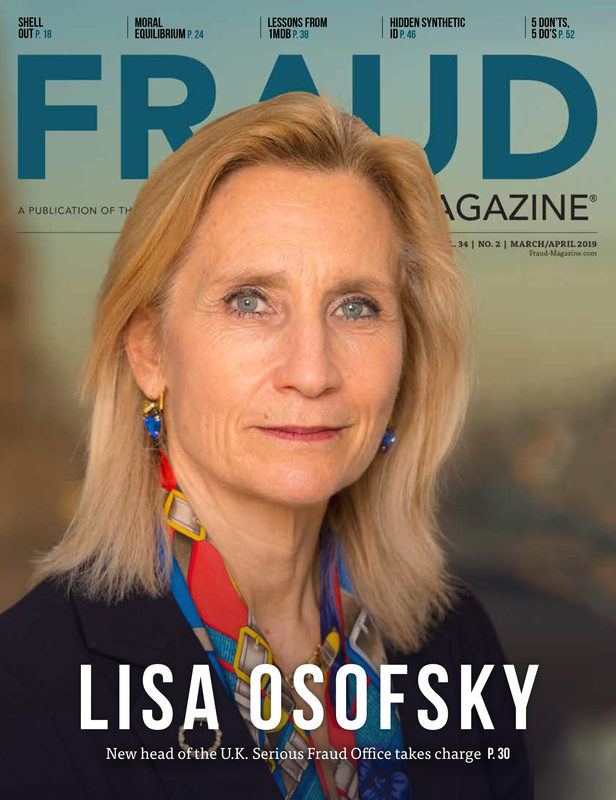 “So I think even employers are starting to take notice because we’re exposing our students to anti-fraud concepts. If you don’t offer fraud examination classes people are asking why not. 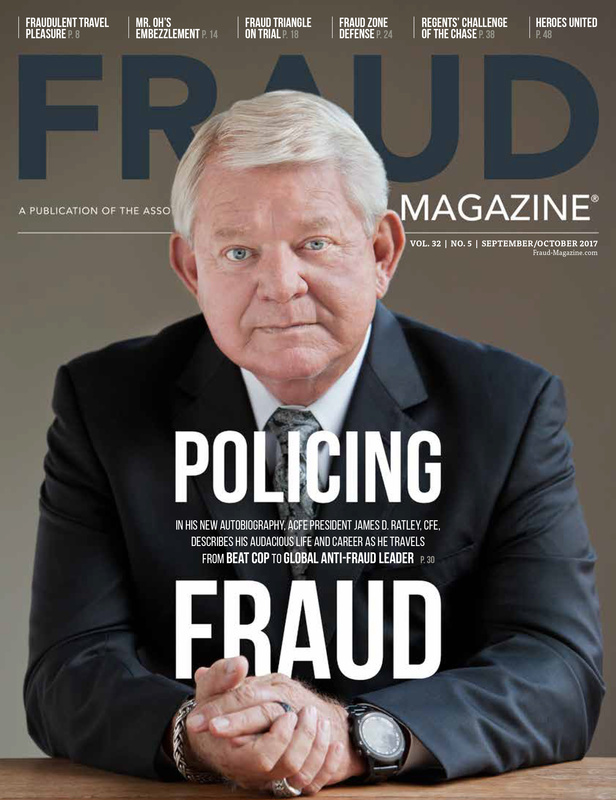 “Graduating students now probably have more anti-fraud training than the seniors, the managers and the partners they’re working for,” he says. 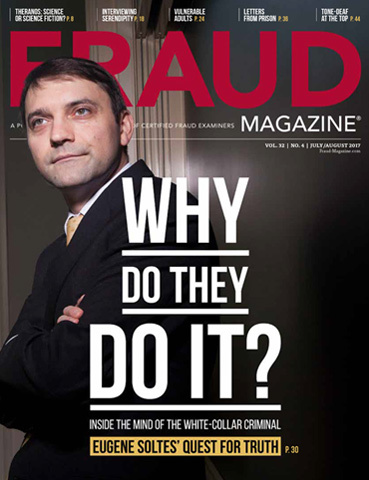 “For years and years we’ve said that we [auditors and accountants] are not responsible for fraud,” he says. “Now we know we can’t turn a blind eye to it, and that’s what we tell our students. Higher education institutions appear to be reading from the ACFE’s playbook. 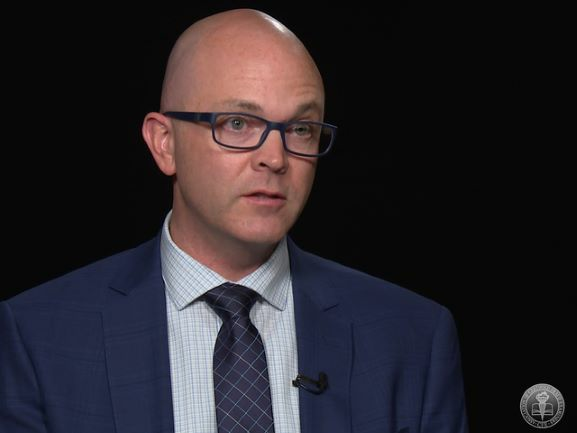 Dubinsky says that he has been approached by a major university, which has received support from a U.S. Department of Justice grant, to study white-collar crime. The university “is planning to combine the criminology section with sociology and accounting and put them into one program for students,” he says. “Students who were on the accounting track, up until recently, didn’t learn about criminology, or law enforcement or cyber security because an accounting curriculum didn’t have time to teach them. It will be interesting to see where academia goes with that to get students ready to come into the real world,” he says.